Join us for this annual OSU tradition as it enjoys its 83rd year! 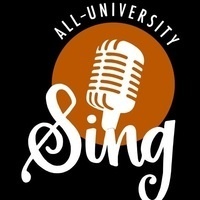 Sing is a singing and dancing competition where multiple student teams compete for the first place trophy and bragging rights. The 2019 theme is 'Back in Our Day' and attendees will be entertained by performances featuring hits from the 2000s. Tickets can be purchased at the door for $25 per person. Accommodations requests related to disability can be submitted to the Center for Fraternity & Sorority Life at cfsl@oregonstate.edu or 541-737-5432.